Our employees wanted to work together on a way to give back this holiday season. 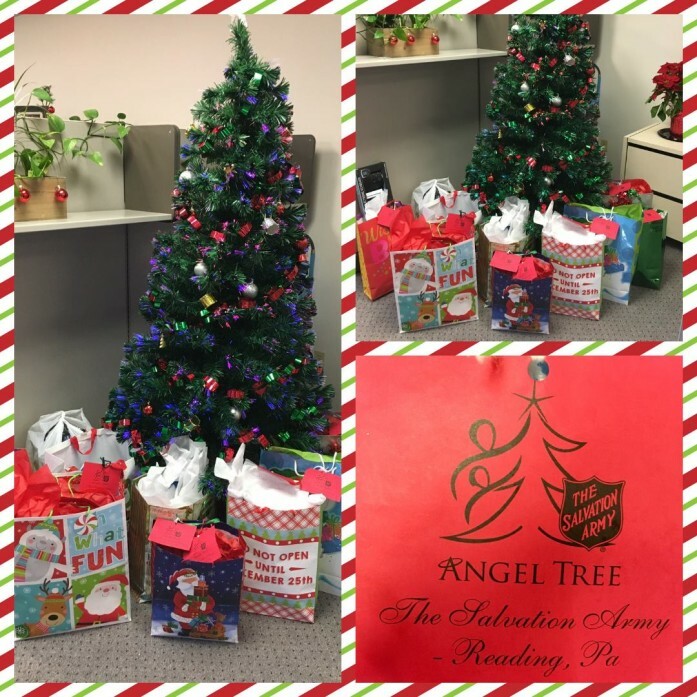 After contacting local organizations, we found a great need with the The Salvation Army of Reading, PA for their Angel Tree program. Look at all of the wonderful presents we put together for some local children in need!! Thank you to those who participated and did the shopping for our group of angels. Many thanks to the The Salvation Army of Reading, PA for all that you do the whole year through! !